Liberals aren’t just good at revisionist history – they invented it. There is no stable ground under their feet – even today’s political correctness will be incorrect tomorrow, if that is what they need to further their overall political agenda. Banning theConfederate flagbecause some deemed it to be an abomination and showed a lack of empathy for African Americans just doesn’t seem to be enough for Liberal America. 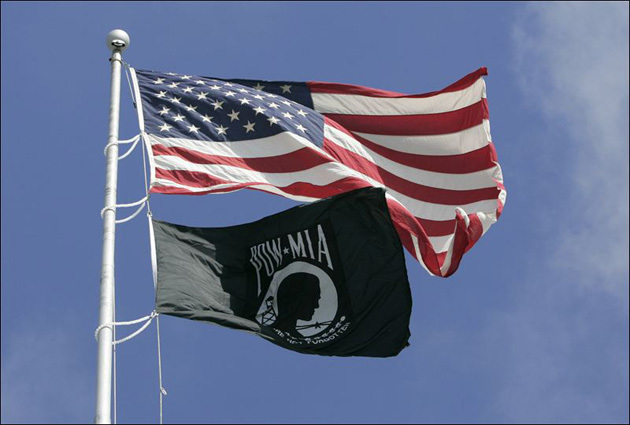 Now it seems thePOW/MIA flag(fashioned by Prisoner of War families in retort to horrific treatment at the hands of the North Vietnamese) is now in the Left’s radar.